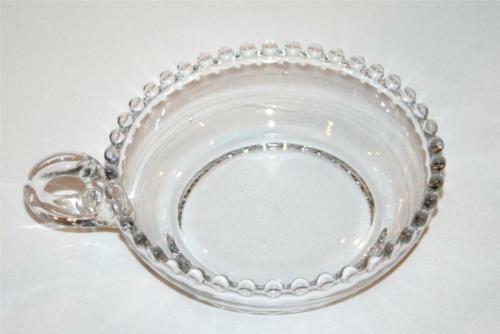 IMPERIAL GLASS CANDLEWICK Elegant Clear Handled Nappy Bowl #1099 Click images to enlarge Description Beautiful, clear elegant glassware from Imperial Glass-Ohio in the Candlewick pattern. 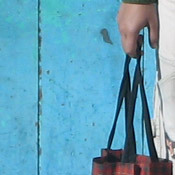 This pattern was made between 1936-1984. This listing if for a nappy bowl with open rounded handle. 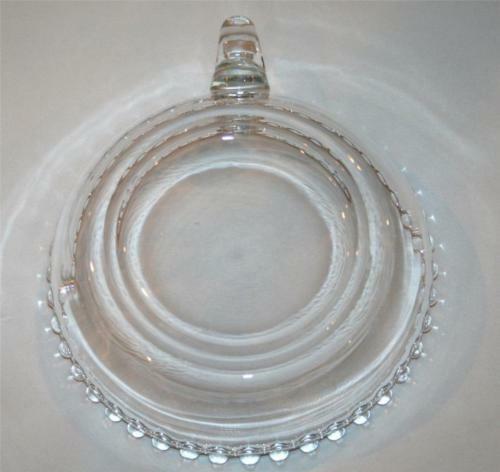 The bowl diameter is approximately 5-3/4". Length including the handle is approx 7". 1-1/2" H. Gently used, excellent condition, very clear glass. No chips or cracks. Couple very minor utensil marks. One light scratch to the inside side of the bowl. Images sell! Get Supersized Images Free Image Hosting Create your brand with Auctiva's Customizable Templates. Attention Sellers - Get Templates Image Hosting, Scheduling at Auctiva.com.